The awarding body is based in Peterlee, County Durham and has been affiliated with all of the North East’s further education colleges over the last 20 years. Louise Morritt, One Awards’ Chief Executive, said: “If you have completed an Access to HE qualification in the last 20 years then there’s a good chance your qualification was validated by One Awards under our current name or one of our previous brands. One current success story is third year degree student and former shelf stacker Emma Chicken. 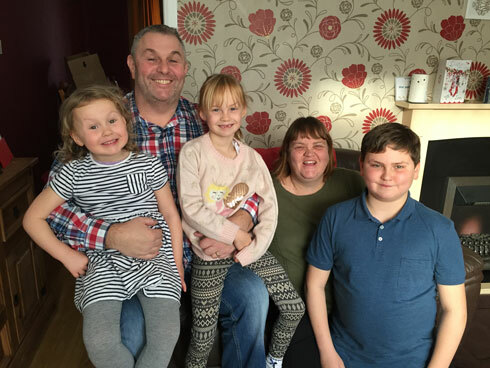 This remarkable mum and her husband Chris have six children between them, aged from four to 24, yet have still found time to undertake Access to Higher Education courses and go on to quite challenging degrees. Emma, 42, is at Northumbria University working towards a degree in Childhood Studies with Guidance and Counselling, while husband Chris, 48, is at York University studying for a degree in Occupational Therapy. Emma, who lives in West Rainton, said: “I got to a certain age and thought I can’t work in a supermarket any more. I had always wanted to work with young people who had substance issues and behavioural problems and thought it’s now or never. “Also, if the truth be told, I have always wanted to wear a cap and gown and have a graduation day. I didn’t do well at school and always felt that the teachers were only interested if you were gifted and talented, the rest of us got pushed aside. “I plucked up the courage to find out about an Access to Higher Education course at Sunderland College and I haven’t looked back. The tutors were incredibly supportive and I managed to pass all but one of my units with distinction! One Awards is keen to hear from anyone who has gone through this route and has a story to tell. Please email AVA20@oneawards.org.uk.